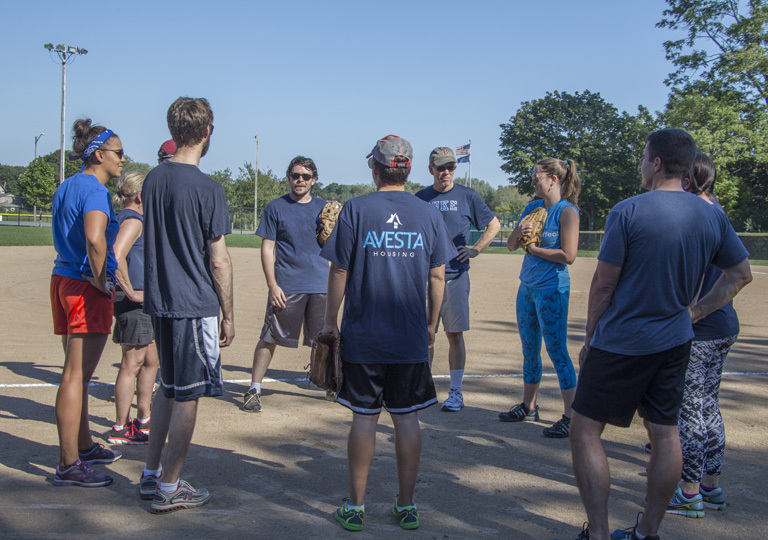 The annual Avesta softball game is legendary around the office. Staff from every department join in the competition on the field and in the stands cheering on our coworkers. After the game, everyone comes together to celebrate with a delicious BBQ. Families are welcome, and the staff kids have a blast in the bouncy house!